I picked up a couple of fun Oreo varieties from Day Inn supermarket and realised that they would both be suitable things to serve at a birthday party so I've grouped them both together here. First up we have Ice Cream! Not exactly top of most children's lists but two things I like quite a lot smushed into one product. 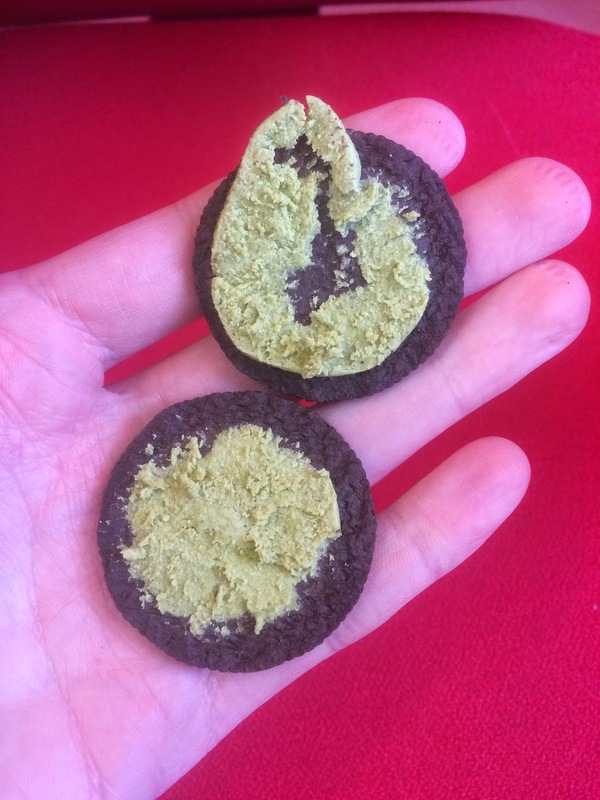 As with other ice-cream Oreo varieties there is a 'cold' taste to this, caused by whatever oils they put into mints (mint oil?) mixed into the usual ingredient. 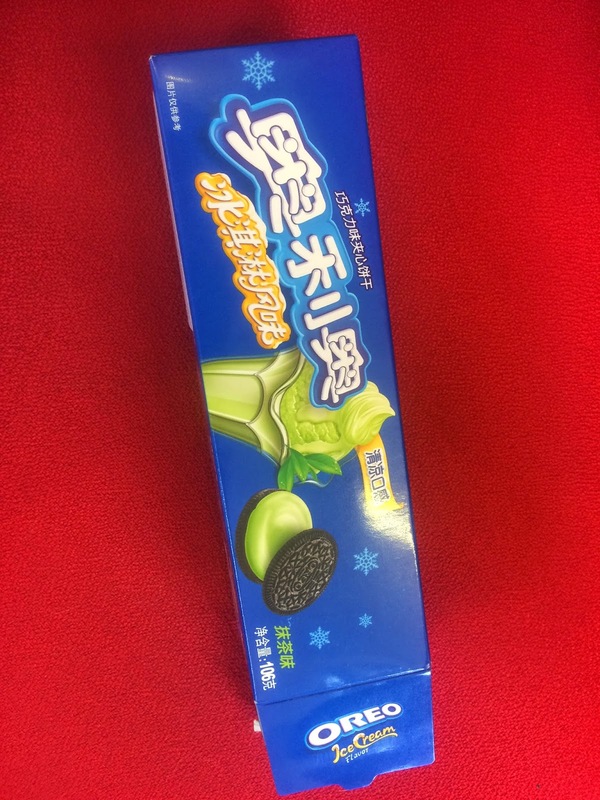 With the green colour these taste like mint Oreos with a green tea aftertaste. This is a little toothpastey for my tastes and not something I'd have again. Next up we have Birthday Cake! Both in real (cat cafe decorated) and Oreo form. I missed out on the giant Oreo birthday cakes so this is the next best thing and at least it's not green paste, right? Oh - it's not as jazzy as the box! It's essentially a sweeter version of the usual Oreo centre and while it's nicer than the Green Tea Ice Cream it's not one that many people chose over the actual slice of cake. While fun novelties I feel that these are things to talk about and marvel at the fun varieties and then only eat one of. 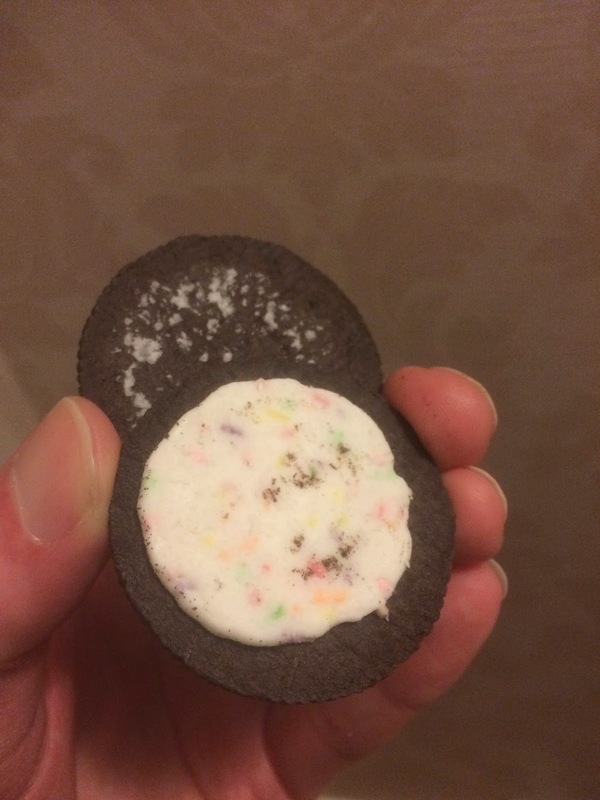 Great for passing around at a party, but I wouldn't choose to have these over the regular Oreo varieties which are much. much nicer!